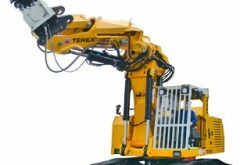 For the first time in North America, Alpine is proud to offer Terex Mining and Tunneling equipment. 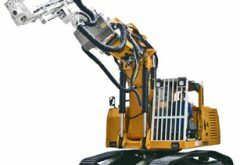 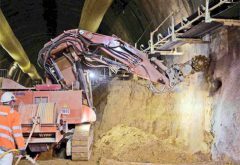 The Tunnel Excavators are a combination of world-class engineering and robust manufacturing, making the TE-210 machines the finest tunneling-specific excavators available to the industry. 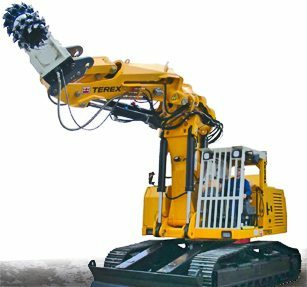 The TE-210 model is available in diesel or electric. 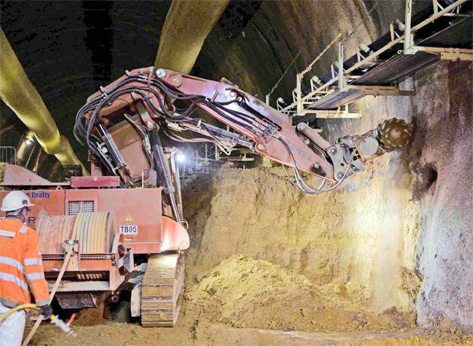 The boom and stick are 3x the engineered strength of typical excavator pieces to ensure strong heading and tunneling benefits along with aswiveling stick for full manipulation in the tunnel. 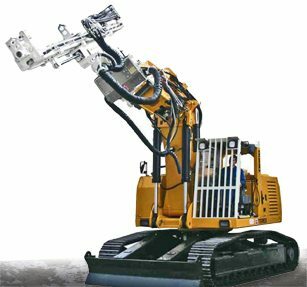 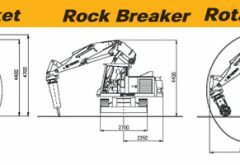 The excavator comes equipped with a standard heading bucket for taking down soft rock, in addition is designed to run our TC-D (110kW/147hp)Rotary cutter head making this one tough, versatile excavator.